I have done it! I didn’t think I could do painting! But I have created a spring-like scene, not unlike (though in truth not very like either) a spectacle to be found at the corner of our garden. And what a lovely time it was – at least for the minute and a half that I spent on it before the children demanded their own paints and canvases, and then the children from next door hopped over the wall to join in, and suddenly glitter and paint was everywhere and the whole exercise descended into thinly veiled carnage. But still, I fashioned a recognisable tree in the space of half an hour. And with no more than a set of children’s gammy paints, and a £2 canvas from Lidl. Imagine what could happen with a nice set of watercolours and a bit of painting tuition! I feel a whole new creative streak coming on. Oh yes. 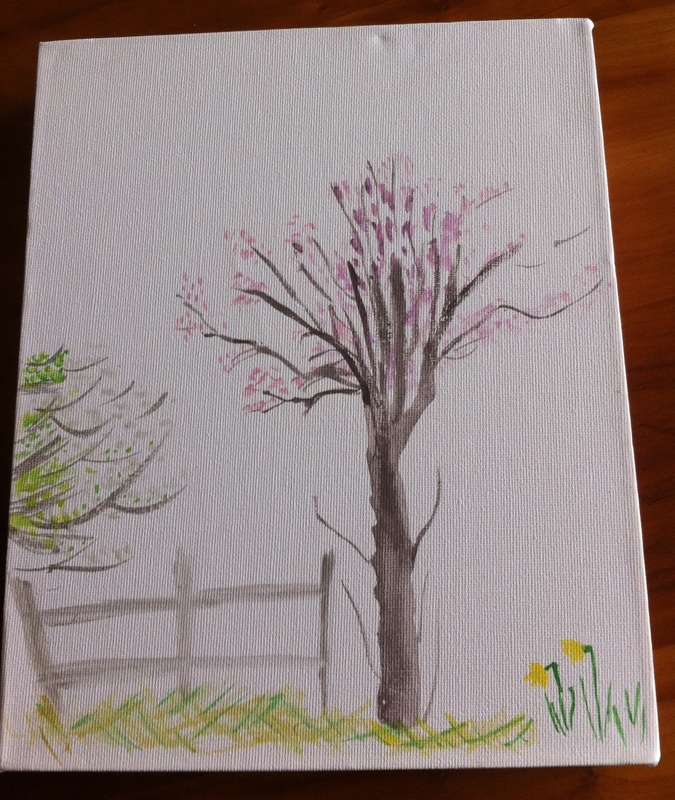 This entry was posted in creative, family, humour, new experience and tagged family, painting. Bookmark the permalink.